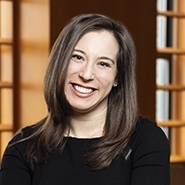 Ariel Roth advises high-net-worth individuals on estate, tax and charitable planning, and family-owned enterprises on strategies for business succession. She also has experience administering complex estates, trusts and private foundations. Ariel drafts sophisticated estate planning documents, including wills, revocable trusts, insurance trusts, limited liability company agreements, grantor retain annuity trusts and intentionally defective grantor trusts, and has prepared gift and estate tax returns, applications for tax-exempt status and submissions to the Offshore Voluntary Disclosure Program. Prior to joining Herrick, Ariel was an associate in the New York office of Morrison Cohen LLP and, prior to that, she was an associate with Simpson, Thacher & Bartlett LLP.